Has progress been made since those words were written in 1985? Well, with over 100 new Antiochian parishes formed since 1987 (with more being added annually), tens of thousands of new Orthodox faithful, truckloads of books and magazines published, 24/7 Orthodox Internet radio now being streamed, our God-protected Archdiocese is certainly doing its part (or more)! 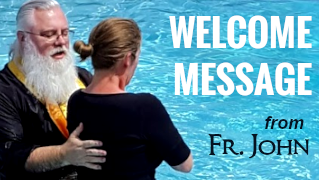 Those of us who have been catechized and received will be eternally grateful to our beloved Metropolitan and the faithful of our Archdiocese for opening its doors to us. I also take my hat off to the Department of Missions and Evangelism for being a significant catalyst in bringing the Metropolitan’s “vision” to North America. 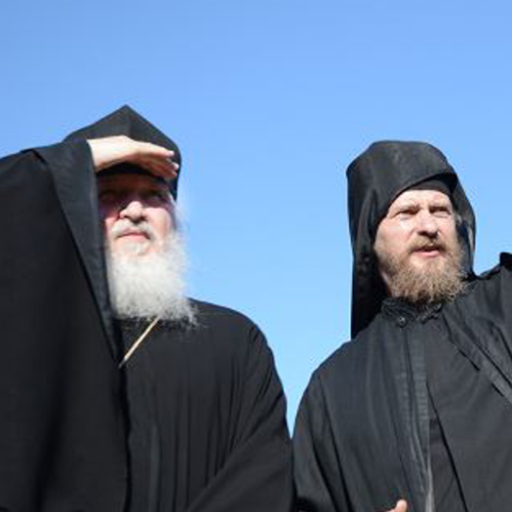 But we can’t rely on the Missions and Evangelism Department alone to grow the Orthodox Church. Growth must occur by adding from the outside (as they are doing), and by growing from the inside — by local church growth. My parish, Saint Barnabas Orthodox Church in Costa Mesa, California, as an example, received twenty-eight adults and children into the Holy Orthodox Church on Lazarus Saturday (2007). Last year, the parish received eighteen catechumens. Saint Andrew Orthodox Church in Riverside, California received over twenty five newly-illumined in 2006 and continues to grow numerically. There are other parishes like them across the country. parishes like these? While there isn’t a “text book” for Orthodox “church growth” (nor should there be! ), I submit there are some common factors that exist in “growth-oriented” parishes within our Archdiocese, factors that make the “soil” right for new growth. The following are some but certainly not all of them. Everything begins with an attitude, an interest, a desire, with prayer. If your parish is satisfied with the status quo, that is probably what you will get. If nothing else, pray for God’s direction for your parish. Ask God to show you how to be open to inquirers and converts. It’s not about programs, advertising or special events. It’s about inviting people to church and knowing what to do with them when they come! It’s about keeping them once they have visited. Many of the new wave of converts coming into our parishes are from Evangelical colleges and seminaries. I recently spoke with one graduate from a local Evangelical college (of which we have several) and asked him what drew him to the Eastern Orthodox faith. 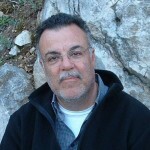 He said he studied the early church fathers — east and west — and early church history in college and discovered a different church and faith from what he had known in Evangelicalism. He said he wanted to be part of that faith himself. RELATED Learn More Than Ever Before! Newcomers don’t know our services. Perhaps they even have questions about what we believe and what our faith is. They need to know what we are praying, what we are chanting. Newcomers — especially from Protestant traditions where the written text is so emphasized — like to follow the services with service books; it makes them feel “connected” and “safe.” Keep these books in a visible place when they enter, or hand one to someone who looks confused by what is going on. If you do not have printed, upto- date service books, consider making them or ordering them. I can’t overemphasize the transition required of people visiting us, or journeying towards us from other Christian faith traditions. You may find what I am about to say surprising, but many of our catechumens are actively discouraged by their Christian friends and family members from becoming Eastern Orthodox. Misunderstanding, sectarianism and outright heresy come into play when some inquirers express an interest in the Orthodox faith. These inquirers need to have people in our parishes who can work through the issues and explain to them why, for example, we venerate the Theotokos (and what we mean when we ask her to “save us”! ), why we kiss the hand of the priest, why we ask for the intercessions of the Saints. We can’t rely on our over-worked priests and deacons exclusively to address all these questions when they come up. Ask newcomers, “Do you have any questions about what we do!” Or you can say, “So you made it through your first Liturgy? Are your feet tired (from standing)? Have any questions?” Recommend good Orthodox books to read. Have pamphlets (Conciliar Press) available for newcomers that address these common problems. Are you comfortable if newcomers don’t look like you, are of a different race or ethnicity from you, don’t dress like you, or make the same income as you? Can your parish welcome the homeless, the poor, the needy, the prisoner? We don’t know who God is sending our way; our job is to figure out how to welcome them, to love them, and to form them. Several years ago, Fr. David Ogan of the national Orthodox Prison Ministry referred a newly-released prisoner — who had begun Orthodox catechism in prison — to our local parish. The man was released on a Wednesday afternoon and his first stop (bless his heart!) was to our parish that night for Vespers. Our priest met with him, warmly welcomed him, and assigned two men from our parish to be his “mentors.” It worked like a charm! Now that man is a wonderful and viable part of our parish community. Over the past two to three years we have had an influx of precious “sub-culture” youth come to our parish. 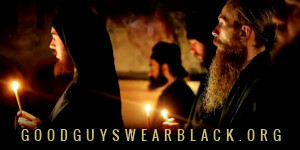 Trust me, they don’t look like the average Orthodox! We had to get comfortable with tattoos (on the guys and girls! ), piercings, Mohawk haircuts, purple and bright green hair color (on the guys and girls!). But these kids were searching for something; thank God they found it in the Holy Orthodox Faith. Now several of them have started a vibrant ministry and publication called “Death to the World” which is impacting “sub-culture” youth all over the world. Several others have become frequent visitors to monasteries in the area and are considering the monastic life. On the other hand, and sadly, several new “sub-culture” youth recently came to us, after being told by a more “traditional” parish (not in our Archdiocese, thank God) they would be “better off” going somewhere else. Lord Have Mercy! Whether it’s one or twenty newcomers, they need to be catechized. We have inquirers’ classes and catechumen classes throughout the year. 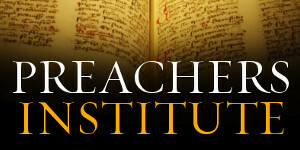 Our priests teach these classes and cover theology, history, the Creed, the sacraments, and spiritual formation. Questions are encouraged and answered on any and all subjects. Our catechism classes — when we were a small parish — were in the apartment of one of our priests. Now we have them in a parish meeting room. We also have several Bible study groups led by Orthodox laity. We are also very fortunate in our Archdiocese to have many well-known and knowledgeable people who are willing to speak to our catechumens. Recently, for example, one of our catechumens sent Frederica Mathews-Green, a well-known author, an e-mail about something she was dealing with. She was surprised, but very grateful, when she received a quick and lengthy response from Kh. Frederica! By that I mean, don’t expect everyone to come along the same way on their journey, in the same amount of time, or express their piety in a prescribed way. Yes, we have customs, traditions and rubrics that (eventually) need to be followed. But, for example, must every woman in your parish wear a head covering? Must every newcomer do a metania when we pray, Lord Have Mercy? Must every newcomer say his prayers from the long Russian prayer book? Must all male newcomers grow long beards? I think you get the picture I’m trying to draw here. There’s a difference between big “T” tradition, and small “t” tradition. We need to know the difference and emphasize those traditions which are necessary for their salvation. Obviously, it is the job of the priest to determine this. A good checklist and I don’t think there’s anything I could add to it. But there a lot of people out there, disaffected with Western Christianity gathered in small non denominational grouplets trying recreate the New Testament Church, but coming nowhere near it, sincere and well meaning though they undoubtedly are. A lot of these could be worth reaching out to, providing their theology such as they have, is compatible with Orthodoxy. For those of you that don’t know who I ;am, well, now you will. 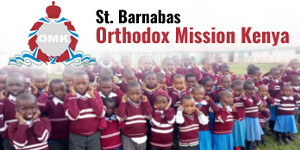 I am also a member of St. Barnabas in Costa Mesa, California. We have all sorts of people walk through our front door on Sunday morning and other times of the week. Some are students that have an assignment to visit a church that is not of their tradition, others have agreed to meet friends at St B, others have heard about us. Some are people that are tired of where they have been going to church and haven’t found satisfaction in worship for quite a while. Almost all the adults at St B are converts. Each of us has a story. In fact, at one time there were four of us that had earned Master of Divinity degrees from Protestant seminaries. Mine is from Fuller. You Orthodox should be friendly with strangers. Make sure they get a service book in their hands so that they can follow along, preferably one that only has the liturgy. That is easier to manage than the hardbound service book that has various services in it. Pair them up with someone that can help them along during the service. Assure them that it is o.k. to sit when their feet or back start to ache. Keep them around for a while afterward so they can ask questions. 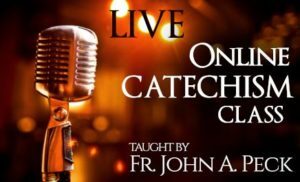 If you have a catechumen class, let them know about it, without giving the impression that you want them to sign on the dotted line, so to speak. Let them know that we Orthodox have missionaries and give them OCMC and IOCC literature. Give them a couple of those little topical Conciliar Press booklets. Show them your bookstore. Let them see that we have commentaries on books of the Bible. Exegesis isn’t just for Protestants! Be friendly! There’s no need to ask much beyond if this is their first visit to an Orthodox church and where they usually go. They will see the differences right away. If they keep coming, that means they recognize that what we do is of value and intriguing. They will start to see that we aren’t a flavor of the month church. What we’ve been doing has been around for a long time. Incidentally, I was the greeter when the man that had been recently paroled came to our church for the first time. He and others remember me as the first person they talked to. People’s memories can be pretty strong. Give them something good to remember.